Sale Period: July 10 to 15, 2012. Fare includes taxes except for selected airports where it is collected at the point of departure. All fares are quoted for single journey (one-way) only. Foreign fares are subjected to currency exchange rates. Offer is subject to availability, AirAsia Terms and Conditions. No refunds are permitted after payment has been made. Guests traveling need to provide all necessary travel documents (eg valid passport, visa where applicable etc) at the time of departure. AirAsia reserves the right to deny guests from boarding without proper documentation. Full payment shall be made upon booking. Changes to flights and dates are permitted subject to change fees. Changes to name are not permitted. Only available for online booking. 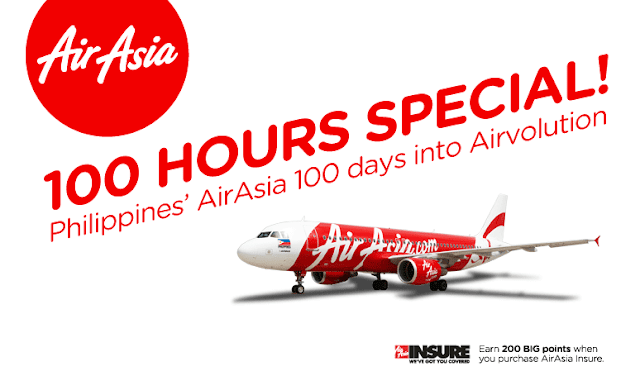 Click here to book via AirAsia now!